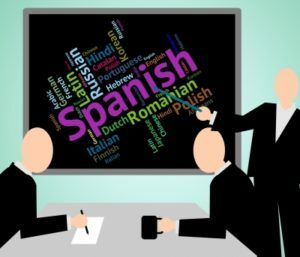 So, how can you make Spanish learning easy for you? Simple – stick to growing your Spanish vocabulary so that you will have tons of words at your disposal. Once you know the words, the sentence construction and grammar will follow after. To really learn Spanish words well, you can’t just cram everything into your head. Do it slowly and start with one or two words a day until you are comfortable enough to learn more. Try to fit in a reasonable amount a day so that you can be sure that there is a recall to the words you have learned. One of the best ways to remember a word is by connecting it to an image that you are sure to remember. When you have about 200 to 300 words in your head you basically have enough ammo to construct basic sentences. Start speaking to your friends in Spanish as you put together the words that you know. Don’t worry about not getting things right. Be open to being corrected because it is part of learning. Having 800 to 1000 Spanish words in your vocabulary is essentially the same amount used by native Spanish speakers. When you have this many in your head, it means that you are stepping up and are getting closer to your goal. This is the time that you may want to start getting into grammar learning activities so that you can be sure that you are speaking the right way. 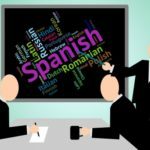 With 2,500 or more Spanish words, you shouldn’t have any difficulty at all with expressing yourself. This is a huge accomplishment and definitely means that you are getting your goal to becoming fluent in Spanish. Take your language learning to the next level and really practice your vocabulary by joining Spanish activities, classes, and organizations. So, if you want to learn Spanish, all it takes is learning a word and building up your vocabulary from there. The more words that you learn, the better! With language learning, words are everything.